Light, handy fleece sweater with a hood and G-1000 reinforcements over the shoulders for increased durability and comfort when wearing a backpack. Made from functional wool blend that combines the temperature-regulating properties of wool with the durability of polyester and the pliancy of elastane. The outside is smooth and low-friction against shell garments, while the brushed inside is soft against the skin. 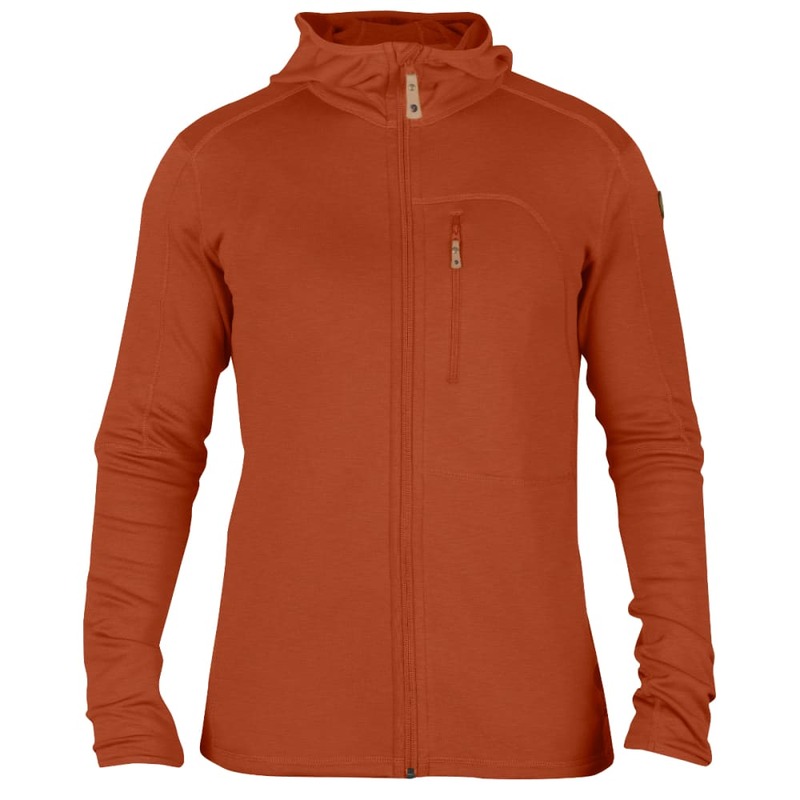 This makes it perfect as an insulating mid-layer for all kinds of outdoor activities, all year round.